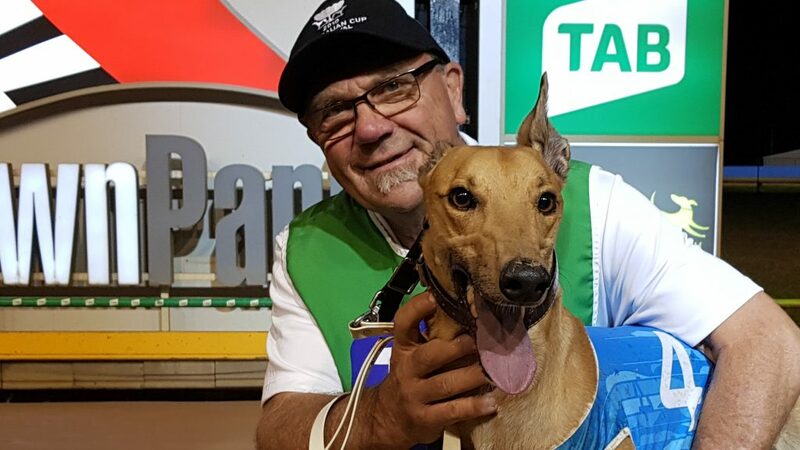 Brilliant South Australian pup Red Rock announced himself a serious contender for the Launching Pad following his powerful victory in a heat of the $432,000 series at Sandown Park tonight. Making his first start in Victoria, Red Rock stepped well from box 4 before being shuffled back worse than midfield through the first turn He struggled to find clear running before a gap opened as they entered the back straight and the son of Fernando Bale took off, sweeping around the field and running down early leader There’s A Catch to win by a length. While his winning time of 29.58 was only moderate, it was the manner of the victory that caught the eye of the punters and pleased his trainer Steve White. “He’s very strong,” he said. Red Rock inherited a berth in the sweepstakes series after his littermate Alfieri, winner of the South Australian qualifying series, became ill. He had his first look at Sandown Park in an exhibition trial between races the previous week and White believes he has more improvement to come. Red Rock’s victory completed a winning double for White with another former South Australian, Tauwitchere, recording the fastest time of the night (29.42) in the night’s opening heat. It was Tauwitchere’s first win in three attempts at Sandown Park. “Really, she could have been unbeaten here,” continued White. Just four lengths separated the eight heat winners on times, and the first four from each heat will progress to next Thursday night’s semi-finals. Anthony Azzopardi also trained a winning double with Dolly Mac and Seal The Deal saluting, while Andrea Dailly qualified six greyhounds through to the series’ next stage. The Launching Pad is a sweepstakes event open to greyhounds with 1-6 wins and no more than 30 starts. 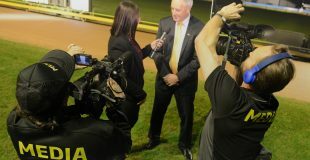 Connections pay a $2000 fee to guarantee one of 64 places in the heats, and with $432,000 in prize money up for grabs across the three week series, the Launching Pad has quickly become one of the most sought after races around the country. The final will be run on Thursday 18 April. During the night, popular veteran Jesaulenko raced into retirement a winner. The five and a half year old was a popular pick in his 122nd and final start, jumping as favourite and holding on to secure the 53rd win of his career and in doing so became the oldest greyhound over eight years to win at the View Road circuit. Click here for full results and replays. Click here for the Launching Pad semi-final draw.